Whether you're in charge of your home, business or condominium complex or industrial complex, Straight Shooters has the resources and experience to handle any winter job- large or small. 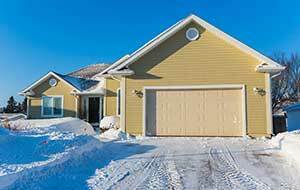 We offer comprehensive winter services including snow removal, de-icing, salting, managing ice dams, roof raking and shoveling. If you are a business owner, you need to ensure the safety of your customers and employees. Partner with the professional Massachusetts area snow removal and winter services company and your driveways, parking lots, sidewalks and facilities will remain snow and ice free throughout the long New England winter. We handle driveways, parking lots, sidewalks - whatever it takes to get your customers in the door in any weather. 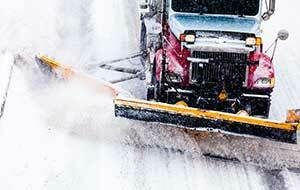 Our service also includes salting and de-icing as needed. 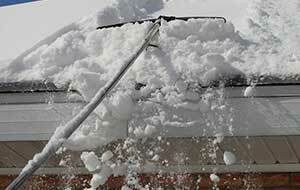 A big storm can mean hours and hours of shoveling or snow blowing followed by an aching back. Let us take care of your property so that you can enjoy the winter weather rather than curse it! Ice dams cause thousands of dollars of water damage to ceilings, walls and floors. 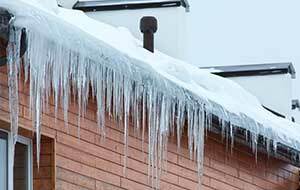 Let the Straight Shooters ice dam removal experts protect your property by keeping ice dams in check. Avoid costly damage to your roof from excess snow weight. Our snow buildup specialists are properly equipped to lighten the load on your roof without inflicting damage on your shingles. Get on our Preferred Customer List TODAY! soon there after. In this day and age it is very difficult to find reliable people."